Located in Cornelius, a suburb of Charlotte, North Carolina, on Lake Norman and only minutes away from Charlotte Motor Speedway. This proves to be a secure and convenient storage solution for many of NASCAR’s premier drivers and owners. 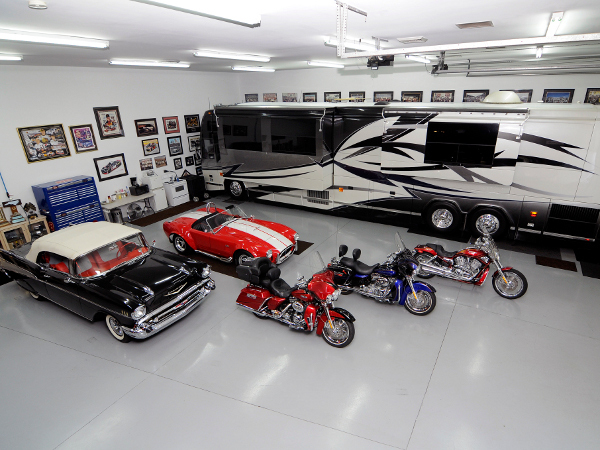 Bikes, boats, collector cars and RV's all tucked away in a fully customizable garage suite. Printable materials formatted for letter size pages. Right click/Save As... to view and print offline. Copyright © 2012 Hyde Park Storage Suites. All rights reserved. SIte design Synergy Studios.